I’m sure there were all kinds of factors that played a role in your decision to live where you do. But other than locating the closest hospital, did you ever consider how your neighborhood might affect your health? Where you live can play a huge role in your health, and a new Canadian study published in The Journal of the American Medical Association shows that your neighborhood can affect the likelihood of obesity and type 2 diabetes. 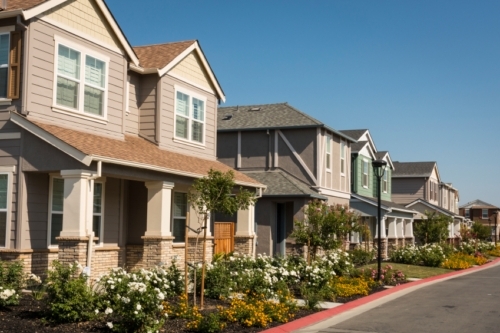 Some neighborhoods are simply better constructed for your health; for example, homes and amenities are in walking distance, and the streets lend themselves to a more active lifestyle. People who live in these areas—where they can walk to work, run errands, or simply enjoy their surroundings—are less likely to gain weight or develop type 2 diabetes. The rise in sprawling suburbs and car-dependent living is likely a major contributor to a sedentary lifestyle that promotes weight gain and boosts the risk of disease. When you’re forced to rely on your car to undertake virtually every task imaginable, that’s a lot of sitting. And those who live in what could be a walkable neighborhood from a design standpoint may be hampered if they feel their safety is at risk if they walk down the street. This is another potential contributor to disease. If you’re planning a move, it could be worthwhile to look a little harder at what you’re paying for. The idea of a big home with lots of land is part of the American Dream, but it might not be the best decision for your health. Instead, sacrificing size for amenities may be a better decision. Look for a home within walking distance of things such as banks, shopping, restaurants, community centers, and other institutions; it can help lower the risks associated with a sedentary lifestyle. We often talk about how lifestyle decisions such as activity and diet play a huge role in our health. But where we live can be quite an easy factor to overlook. Of course, packing up and moving to a more walkable neighborhood isn’t something most people can just go ahead and do. You may have family and other roots in your community. But you can still find ways to increase activity and lower your chance of weight gain and diabetes. Make it a priority to go out for a walk every day. If your neighborhood bores you, drive to an area that you enjoy and walk there. Whatever you can do to spend more time upright, the better!